The Pakistan selectors have gone for the tried-and-tested approach when selecting the ODI squad for the upcoming Asia Cup. Apart from the exclusion of Mohammad Hafeez which I will discuss later, what has surprised me most is the absence of a few more genuine spinners in the line-up. As we have seen from past experience of playing in the UAE, Pakistan have always played with two or three specialist spin bowling options who have proved crucial in the team’s success there. We know that Imad Wasim is not included in the team and Mohammad Hafeez is missing from the team as well. Add to that the fact that Shoaib Malik has not been that consistent as a spinner in recent times, and you will understand that we have a serious deficiency in our bowling attack for this tournament. The only talking point about this selection revolves around the non-selection of Mohammad Hafeez. There seems to have been a lot said about his exclusion and even the player himself had to come out and speak to the media about this subject as well. In no way am I second-guessing the selection committee on the inclusion of Shan Masood who has been picked on the back of some solid List A performances but my concern is that given the short period of time left before the 2019 World Cup, would it not have been better to carry on with Mohammad Hafeez in the team given his experience and the fact that he is bowling again? He would have been ideal for UAE conditions and also would have provided much needed experienced for the team and having Hafeez in the team would have given Pakistan a definite edge going into a big game like the one against India. To be honest, I am not quite sure why Hafeez has been side-lined in this fashion. Ideally, when a decision is made to discard a senior player like Hafeez, the reasons for that are clearly explained to the player such as the fact that the team did not need an extra batsman, or his bowling was not what is needed at the moment. This is the job of the coach and management and what one does not expect is for players to be chosen or dropped based upon discussion in the media which seems to be a common theme in Pakistan cricket. The communication gap caused by this kind of treatment of players results in them approaching the media as we have seen in the case of Hafeez. This is a centrally contracted player and he needs to be treated better and if anyone has any doubts about his commitment, we should consider the fact that he recently rejected a proposal to play in the CPL so that he could play domestic games, with the obvious aim to perform well and get the nod of the national selectors. If he is still discarded even after performing well in domestic cricket, then I would suggest that this will be unfair on him or any other player in the same position. I was disappointed to learn that Imad Wasim was not selected for the Asia Cup Squad due to his inability to pass fitness tests. Evidently, he was doing well in the CPL when he was asked to return for fitness tests for selection in the national side. However, one has to remember that in Twenty20 cricket, you are just expected to bowl 4 overs and bat a maximum of 20 overs so the fitness requirements though tough are more stringent for the 50 over game. It appears that he was unable to meet the standards set for the Pakistan side and was therefore discarded. There is no reason why he will not return to the national side as he is more than a useful bowler and a batsman. He can draw some inspiration from his captain Sarfaraz Ahmed who had some issues with fitness and weight in the past but if news reports are to be believed, passed the fitness tests with flying colours. All this bodes well for the future of Pakistan cricket. I like many others am pleased to hear that the Pakistan team management is very serious about the concept of fitness in the senior team and the benefit of that is in the positive results of this team. However, emphasis on fitness cannot only be confined to the senior team alone. Yes, it is great that Pakistan is getting a steady supply of new and fit players from the PSL, but we must also enforce the same level of fitness and awareness in our A and Under 19 teams as well. In this way, we will have a bigger pool of players who are fit enough to quickly step-in to senior roles as and when there is a requirement. And this idea is not just confined to fitness but fielding as well. A ready-made group of good backups for the national team who have been given similar advice on fitness and have been trained as good fielders could really change the whole outlook of Pakistan cricket. It’s no secret that Virat Kohli provides great strength to the Indian side. Whenever he performs to his potential, he pretty much snatches victory from the jaws of defeat. So, with his absence from the squad, Pakistan will be breathing a sigh of relief that a player who absorbs most of the pressure for his team is not included in the line-up, but there is no doubt that India have some excellent players who are match-winners in their own right. The conditions in the UAE will suit India as well and they have some very able spinners in their squad. Most of their players are also very experienced but all said and done, it would be fair to say that the Indian side will be weaker without the presence of Virat Kohli. As for Pakistan, the 19th September encounter between the two rivals will definitely be a pressure-filled affair. 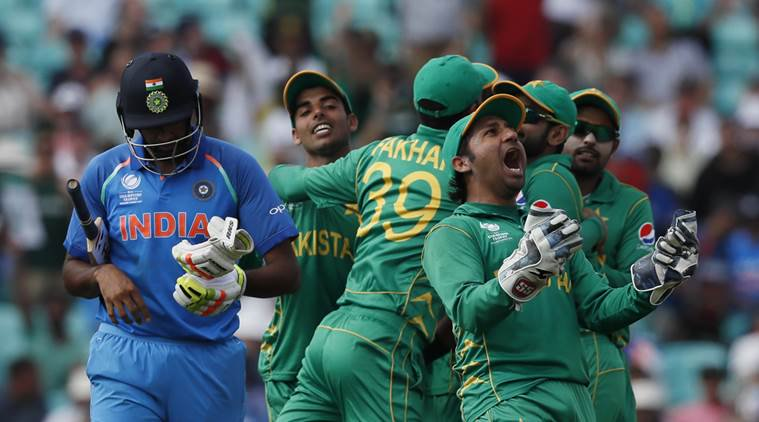 Of course, Pakistan will be looking to put to good use the psychological advantage they gained by emphatically defeating India in the Champions Trophy final. All in all, this will be a fantastic game for a full house to watch and something memorable for the players as well. Pakistan may be masters at playing in UAE conditions, but they will underestimate all other opponents at their own peril. There is unlikely to be any off the wicket movement that is found in England and most Asian sides may well feel at home when playing in the UAE. However, given the professional team management that is now part of the Pakistan side, we can expect them to not to take any side lightly. Whether it’s against the qualifiers Hong Kong or a top team like India, the Pakistan players will be approaching each game seriously. Apart from the obvious danger of losing to a lower ranked side, each player will also be conscious about making sure they perform to the best of their abilities. They will know that given the strong bench-strength of this side, any drop in intensity will result in losing their place in the side. Also remember that an important aspect of playing at ‘home’ is the home support one expects in a stadium, but this may not be the case for Pakistan as the UAE has a very good representation from many other nationalities and ‘away’ supporters may easily out-number any Pakistan support, in Dubai at least. In this regard, I would ask the new Chairman of PCB, Mr. Ehsan Mani to pay attention to this aspect of our cricket and to ensure that our grounds and facilities are top-class which in turn will allow our young talent to flourish and come up to a standard so that the move from lower-levels of cricket to international level will become much easier. I understand that every new Chairman makes the same statements about improving cricket at the grassroots levels, but precious little is done in reality. In the end, the only emphasis is on the cricket activities of the national team. If you want proof of this, you simply have to look at the world-class facilities at the NCA and compare it with the poor conditions that can be found in the dressing-rooms of the LCCA ground which is a stone’s throw from the NCA. If this is the situation next to the headquarters of Pakistan cricket, one can only imagine what one would find in Quetta or Peshawar. All this points towards is a change in culture where people charged with maintaining these facilities are held accountable for whatever they have been asked to do at the PCB. This is what I will be expecting from the new management and hopefully with a former legend who is the patron of Cricket, these issues will be looked at and fixed. I think Mickey is playing the long game here, not selecting Hafeez now will mean he cant get banned (for bowling)before the WC like he was previously as was Ajmal. Thatway when the time comes he can unleash and need his bowling the most(WC 2019). Hmmm... So this means Hafeez is being dropped on his batting? Like he used to get dropped before he remodelled his bowling action and came back in the side. 2. Ehsan Mani - lots of talk so far but some concrete actions need to come out. Pak has not been able to use the so called psychological advantage over India since 2005. Let's not get ahead of ourselves here. Don't understand the fascination of our ex cricketers with Hafeez. Its Pakistan's cup to lose. India without Kohli is not the same force and India would for sure miss his services in batting however him not being a captain could turn out to be a blessing in disguise for india. It'll be interesting to see how India bounce back after being pushed by Hong Kong and without much rest.